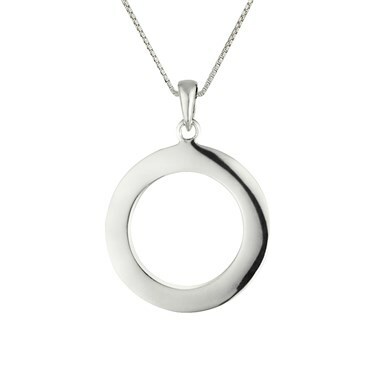 Simple but elegant, this necklace is an ideal finishing touch to any outfit. Perfectly crafted from 925 sterling silver this delicate necklace features a fine linked chain with an open circle centrepiece. With a highly polished finish this necklace is versatile and easy to wear. How long in inches is the chain on this necklace?